When your pet is in pain, you want to do everything you can to make him feel better. It can be difficult to understand the severity of the amount of pain he’s experiencing, since he can’t communicate with you through words. However, pet owners can always tell when their pets aren’t feeling well. When your dog appears to be in persistent pain, a visit to the veterinarian can help diagnose the problem and subsequently, provide a solution to fix it or at least improve the situation. What is Tramadol for Dogs? Tramadol is an opioid used to treat pain in canines. It is reserved for moderate to severe cases of chronic pain and is the same drug used for similar reasons in humans. Regardless, prescriptions are never transferrable from pet to pet or from pet to human, as each case is different. It is only safe to use for your dog under the prescribed direction from your veterinarian. This type of painkiller alters the perception of your dog’s pain by increasing the level of serotonin in the brain. It helps promote the euphoric feelings often associated with opioid use. Common side effects of Tramadol for dogs include: vomiting, nausea, diarrhea, drowsiness, dizziness, and tremors. If you notice a severe change in eating or behavioral habits in your pet after taking Tramadol for pain, consult your veterinarian immediately. Your dog may require an alternative remedy to treat the pain. When starting any new medication for your dog, the veterinarian will explain all possible side effects to you. These are symptoms to watch out for, especially if your dog is new to taking medication. He may have unpredictable, adverse reactions to Tramadol, which would require immediate medical attention. Make sure to administer the medicine at the prescribed time and through the required dosage amount. There is no way to altogether prevent side effects from occurring but there are precautions you can take as a pet owner. First, keep an accurate record of your pet’s medical history. Your pet’s current veterinarian will need to know what kind of medications your dog is allergic to and if he’s had any kind of reactions to prescriptions in the past. Also, if your dog is taking any other current medications, this will also factor into the kind of side effects he may experience or if he is a good candidate for Tramadol at all. The veterinarian will also want to have any history of past illnesses or surgeries. Your pet’s health changes over time and keeping an accurate account of it is helpful down the road as details could easily be missed. When your pet is prescribed Tramadol, follow the dosage instructions closely and ask others who care for him to do the same. If you discontinue use too soon, symptoms can immediately reappear and your dog won’t have the ability to fully heal. If you decide your pet should take more of the medication without expressed approval from your veterinarian, this could cause severe harm. Inquire about changing dosage amounts and get the recommended changes from the veterinarian first before making any adjustments. Your pet most likely will start to feel results within the first day but taking the prescription in its entirety is important. It’s great when your pet is free of pain but it’s more important to have it be a long-term rather than temporary solution. Be diligent in his schedule if he is taking pain medication. A missed dosage or the wrong amount could be detrimental to his health. As your dog ages, so do his bones and joints. You may begin to notice he doesn’t move as fast as before. He may limp around the house or walk more gingerly when outside. Osteoarthritis in dogs occurs when your pet’s cartilage or joints start to wear. Your dog may experience stiffness or lameness. He may be more inactive than usual and not want to be touched as much because of the chronic pain. If you’ve seen a change in your dog’s active behavior that is similar to any of these scenarios, he may have osteoarthritis. Osteoarthritis is one of the main reasons for the prescription of Tramadol. It will not cure your pet of the condition but it will help ease the pain. In addition to osteoarthritis, this opioid may also help your dog when he is post-surgery, experiencing general pain, diagnosed with cancer, and/or he has problems with his discs. 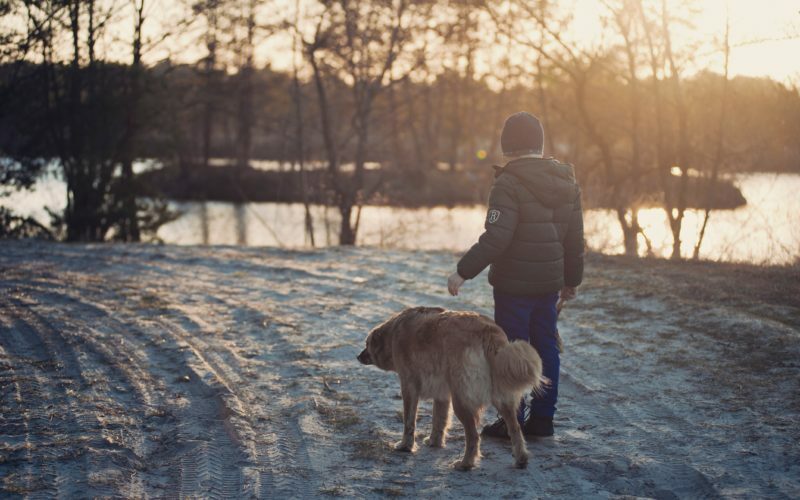 Whatever the official diagnosis may be, your veterinarian will recommend a proper route of care that may include other therapies besides Tramadol. Just because your dog is prescribed Tramadol doesn’t necessarily mean this is the only option you have to help treat his pain. Prescribed medication, especially an opioid, may not be your first choice. Fortunately, there are alternative treatments to consider that your dog may also respond well to. This includes massage or acupuncture. Either therapy can help your pet with his chronic pain and keep it sustained for longer periods of time. Additionally, two of the biggest factors that affect your pet’s health are his diet and exercise routines. Ensure your pet is getting the right kinds of foods that help with osteoarthritis pain by reducing inflammation. Hemp nutrition is becoming more and more popular as its benefits become more well-known. The plant-based product can be used in conjunction with other medications or supplements and is safe for use for many chronic pain issues, as well as other illnesses and medical conditions like anxiety and joint pain in dogs. What kind of treatments have you tried for your pet in the past? What worked best? What didn’t? It may take a few tries to find the right mix of treatment that works best for your dog. Each breed responds differently to treatment and age also plays a factor as well. Since every case is unique, each should be treated as such to receive the best possible results. Is a prescription for Tramadol transferrable between dogs and humans? No. Prescriptions are only meant for the user it’s intended for regardless of if the diagnosis is the same or similar. Keep Tramadol out of reach of other pets and small children who may accidentally ingest it. Can my dog overdose on Tramadol? Yes. Tramadol is an opioid and too much of it can cause severe reactions in your pet. Inform those who care for your dog of his new medication schedule so he doesn’t receive more than the prescribed dose. If your dog experiences an overdose, symptoms like vomiting, lethargy, tremors, dilated pupils, and loss of consciousness may occur. In severe cases, your dog may experience a coma or death. Again, the importance of a set schedule following the prescribed dosage is crucial for proper care. Does my dog need to take the full prescription amount? Yes, always. Regardless of if your pet is experiencing little to no pain, it is still advisable to finish the prescription. Keep in mind that external symptoms are noticeable but your dog may be experiencing internal pain or other discomfort, which you cannot see. Speak with your veterinarian before adjusting the use of prescribed medication in any way. Will Tramadol help my dog if he has hip dysplasia? Possibly. Again, each case varies and is dependent on many factors. However, Tramadol is a painkiller that helps reduce the amount of chronic pain your pet experiences. Many dogs with hip dysplasia have a tough time walking because of the intensity of this pain and may benefit from its use. If you are curious if Tramadol might be a good solution for your dog, speak with your veterinarian. Is my dog a good candidate to take Tramadol? Each breed of dog responds differently to medication. While Tramadol is safe for most pets, there are a few things that may deem him ineligible for the opioid. If he’s had a history of seizures or liver or kidney disease, Tramadol may not be the best option. Pregnant or nursing dogs shouldn’t take Tramadol because they can pass it to their pups. Also, dogs taking other types of medications like NSAIDs or MOADs may not be good candidates for it either. Your veterinarian will make the call on if it’s safe for your dog to take it. That’s why it’s best to have an updated medical record on file for your pet. If Tramadol is an opioid, will my pet become addicted? Tramadol can only be given to your dog through a prescription. While some humans may use opioids recreationally to chase a high, pets do not have these same cravings. For their purpose, Tramadol does its job of alleviating pain and ensuring your dog is as comfortable as possible. 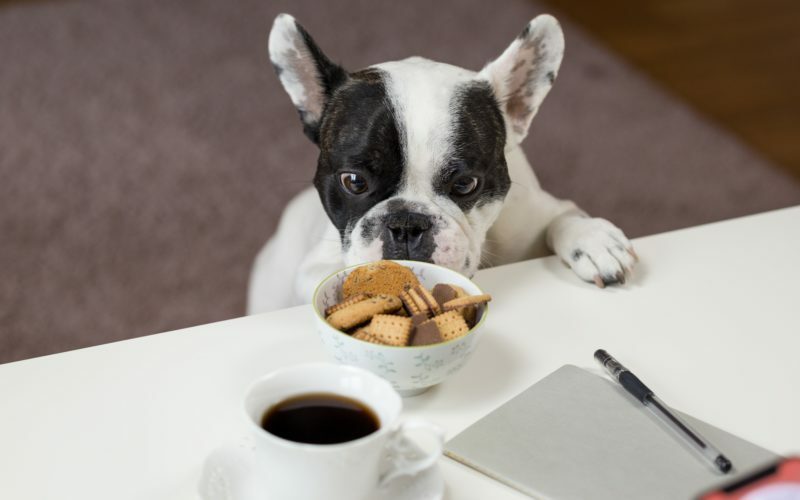 While he cannot technically become addicted, it is still extremely important that your dog is receiving the proper dosage on a regular schedule. Should I change my pet’s diet if he’s already taking Tramadol? Flesh out a full treatment plan with the guidance of your veterinarian. Decide what dietary changes may help your dog’s quality of life and overall health. When a dog is overweight, this can cause extra pressure on the joints, which leads to pain. A healthy lifestyle already puts your dog at an advantage to respond more favorably to treatment. It’s tough to face the fact that your dog is getting older. When it may not have seemed that long ago he was chasing his own tail or tearing across the yard after a cat, your dog may be slowing down. It doesn’t mean that he is no longer in a healthy condition but it does mean there are more likely certain conditions to settle in, such as osteoarthritis. With that being said, it’s not only aging dogs that suffer from joint pain. Larger dog breeds and pets suffering from obesity also commonly develop osteoarthritis or other similar conditions. This is painful and uncomfortable for any pet at any age. The good news is that you’ll likely have options to help minimize it. Dogs who experience chronic pain may also benefit from the addition of various therapies, in addition to being prescribed Tramadol. Work with your veterinarian to decide a full treatment plan for your pet. Take note of any changes in your dog’s behavior and mark both what’s working and what isn’t to adjust accordingly. It may not be simply one action that makes the difference but a combination of a few different things that create the right mix of care. Once you’ve agreed upon a treatment plan, keep other caregivers well informed of your pet’s needs. This includes doggy daycare, dog walkers, dog boarders, and anyone else who may need to have your pet’s medical information readily available. The more you communicate with those around you, the better it will be for your dog. Everyone can understand just what is needed to keep your pet as safe and comfortable as possible. There are risks when taking any medication and Tramadol is no different. If you are concerned about the side effects for your pet, share your concerns with your veterinarian. He or she may recommend another route of care before prescribing the medication. Talk through your questions and find as many options as possible so you can decide what’s best for your pet with all the information available. Burke, Anna. “Tramadol in Veterinary Medicine: Dosage & Uses for Dogs.” American Kennel Club, 30 Nov. 2016, Accessed 14 Nov. 2017. www.akc.org/expert-advice/health/tramadol-for-dogs/. Clark, Mike. “Tramadol For Dogs: Uses, Dosage, & Side Effects.” Dogtime, 30 July 2018, Accessed 14 Nov. 2017. www.dogtime.com/dog-health/59541-tramadol-dogs-uses-dosage-side-effects. Perles, Keren. “Tramadol for Dogs: Uses, Side Effects, and Alternative Treatments.” Care.com, Accessed 14 Nov. 2017. www.care.com/c/stories/6487/tramadol-for-dogs-uses-side-effects-and-alternative-treatment-options/. “Tramadol For Dogs – Dosage, Side Effects & All You Need To Know.” Ultimate Home Life, 13 May 2017, Accessed 14 Nov. 2017. www.ultimatehomelife.com/tramadol-for-dogs-dosage-side-effects-all-you-need-to-know/. “Tramadol For Dogs: What You Need To Know.” Veterinary Place, Accessed 14 Nov. 2017. www.veterinaryplace.com/dog-medicine/tramadol-for-dogs/.